With summer starting, Beautifully Loved has been coming up with different events and projects to continue on our mission of sharing love for families and patients battling pediatric illness. 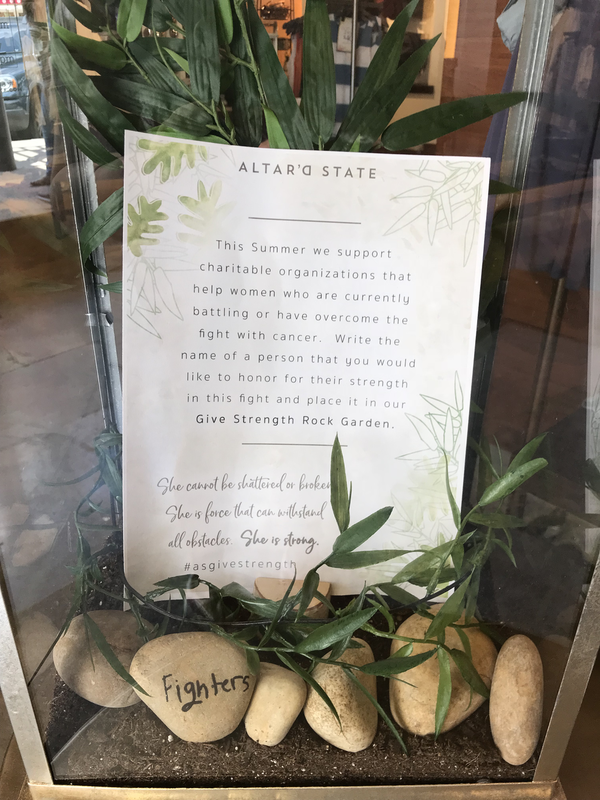 It is fundraisers like #MissionMonday by Altar’d State that help us grow as a non-profit and provide the services we want to provide! At the Domain location, they have a "Give Strength Rock Garden", where we made a visit to write down loved ones that we honor. Altar’d State is giving us 10% of their profits on Monday’s until August at the Domain, Austin location! Their unique and shop-for-a-cause store has been so kind to our team. From dainty jewelry to gorgeous statement outfits, you absolutely wont regret it making a purchase!